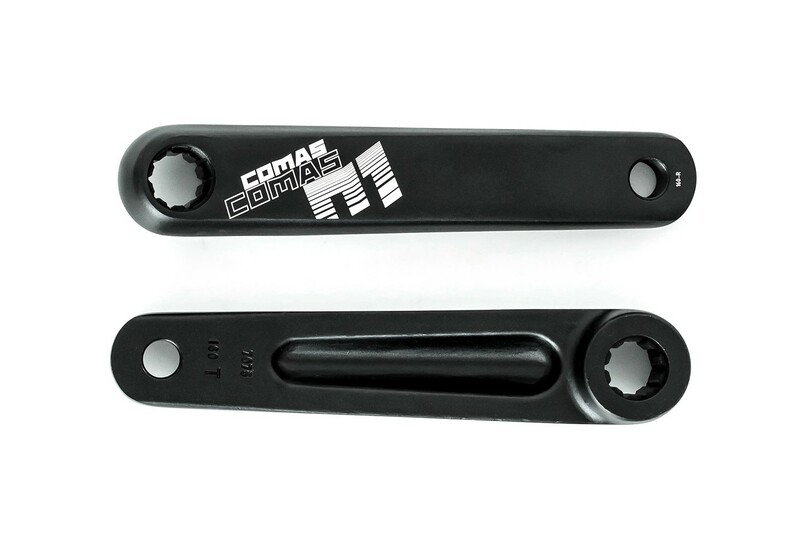 - Comas ISIS trials cranks from new trials brand Comas, owned by Biketrials World Champion Dani Comas. - Developed and tested for months by Comas team riders Sergi Llongueras, Vincent Hermance and Eloi Palau. 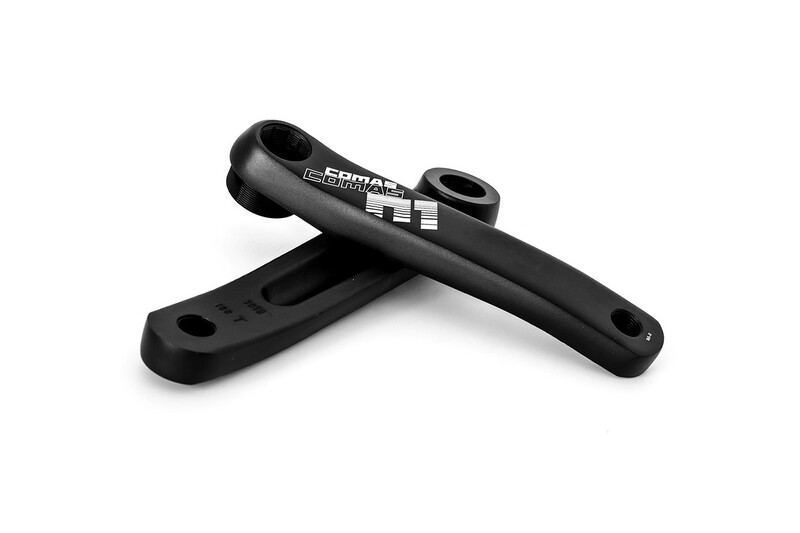 - Each crank has been forged from a 7075-T6 aluminium block, with a robust, simple design that ensures reliability and stiffness. 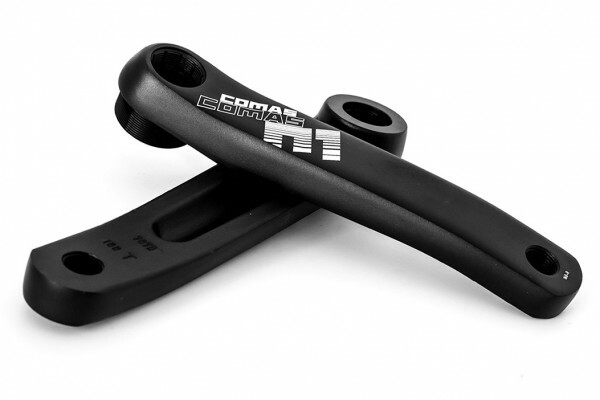 - Its 33mm offset helps prevent any rubbing between cranks and frame or slave cylinders. - Standard ISIS bottom bracket interface. - Standard 1.37’’ x 24 tpi thread, with a 14mm base that allows the addition of a bashring. - Standard 9/16’’ pedal thread (most pedals). 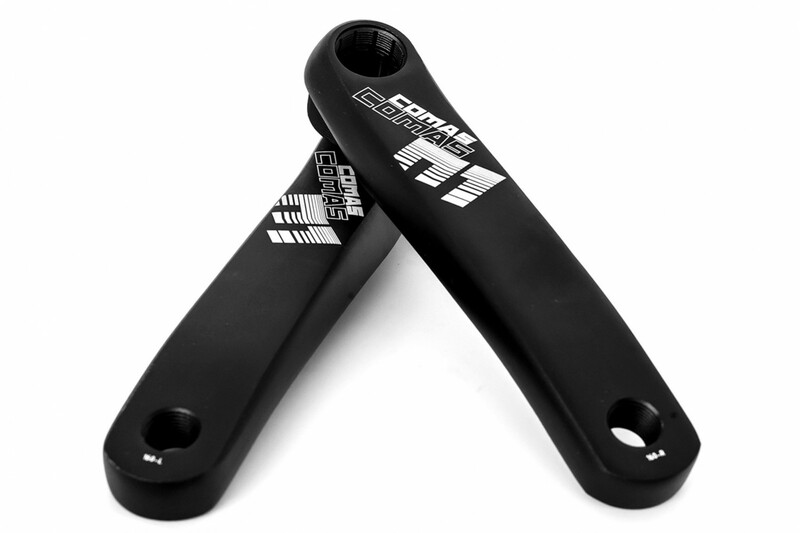 - 2 sizes available: 160mm or 170mm long. - Pedals with 9/16’’ thread. - Freewheels/sprockets with 1.37’’ x 24tpi thread (35mm diameter). - Anodized black, with white Comas graphics. - 515g (160mm), 548g (170mm). There must be at least 7mm contact between the crank and freewheel’s threads. Any damage because of less contact won’t be covered under any warranty.